Also during 1988, a new, completely original Super Mario game was released in Japan, and later in the west. Mario was given new abilities and Bowser returned as the antagonist. A new world map feature gave players some control as to the order of levels to play, or even the ability to skip some levels altogether. The game also featured some more dialogue than the games before, with Peach sending you a letter at the end of each world with a power-up, and the kings asking for your help and then thanking you for rescuing their kingdoms. The new leaf power-up gave Mario a raccoon tail and ears, and let him spin and defeat a foe in a way that wasn’t possible before. In addition, the tail would help Mario reach great heights if he ran fast enough, giving him the ability of flight. Bowsers children (named Koopalings) would be at the end of each world in an airship, leaving you with a dangerous obstacle course of cannons and wrenches to navigate through before reaching the Koopalings and beating them in a boss fight. In 1989, Mario was introduced to the handheld Game Boy console as one of the system’s release titles. Super Mario Land (and its sequal, Super Mario Land 2) had several changes from the previous Mario themes. In Super Mario land, Princess Daisy, instead of Peach, was kidnapped by space-man Tatanga, instead of Bowser. In some parts of the game, Mario could control a submarine and an airplane. The invincibility music heard after collecting a star was different. Even with the differences in the plot and game elements, the game felt more like the simple, original Super Mario Bros. game than a sequel to Super Mario Brothers 3. Super Mario Land 2, released a few years later in 1992, looked and played much differently. Mario had gained more of a modern appearance and met yet another new antagonist, Wario, who became another Nintendo icon himself. Mario traveled across a world map in a quest to retake his castle from Wario. A new power-up in the shape of a carrot gave Mario rabbit ears and the ability to jump higher and fall slower. Super Mario Land 2 was very large compared to other games of its time. With its game data being eight times larger than its prequel, it was able to support better graphics and more levels. From here on, Wario would receive his own series of games following the Wario Land series. Super Mario World has been considered one of the best Mario games in the Mario series. Introduced in 1990, it was originally packaged along with the Super Nintendo Entertainment System, and had better colors and graphics than any Mario game before. The game introduced a green dinosaur named Yoshi, who has become a familiar Mario character ever since. Yoshi had a long tongue that was useful for grabbing objects ahead of him. Differently colored Yoshis had different abilities like flying or stomping depending on what they held in their mouths. The game followed Mario as he travelled a colorful collection of worlds to rescue Princess Peach from Bowser once more. The Koopalings made reappearance as the end bosses for each world. 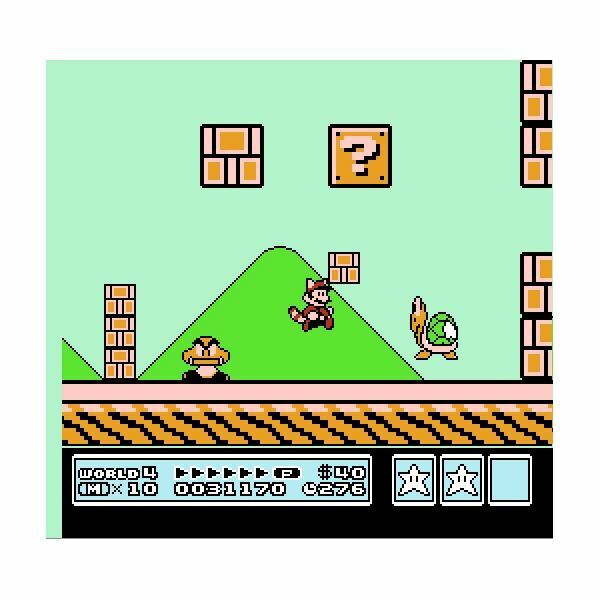 The feather power-up, when collected, gave Mario a cape that let him fly after getting enough running speed, much like the leaf in Super Mario Brothers 3. At the top of the screen, a box held an extra power-up that could be used at any time, adding more flexibility to game play. 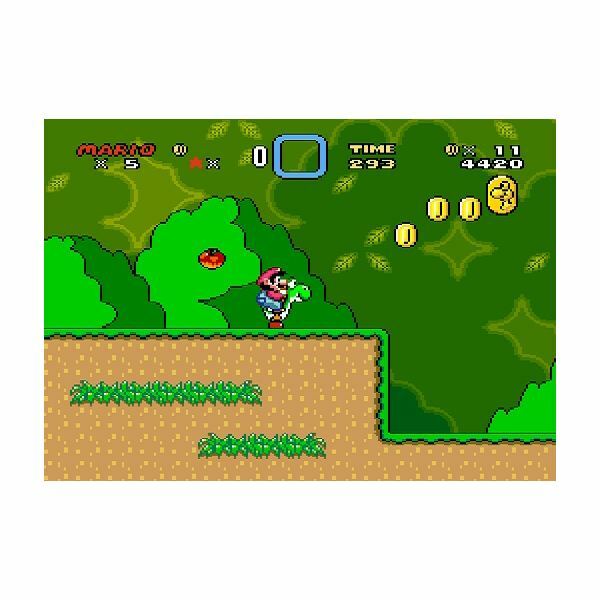 Super Mario World secret levels were hidden inside normal levels as alternative exits, and the secret areas would serve to provide a shortcut or to introduce a new Yoshi to the game. 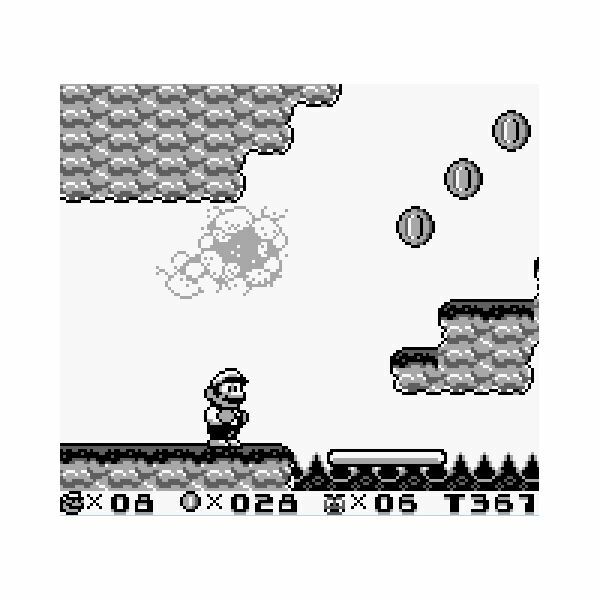 Screenshots, pictures and references: Screenshots from Super Mario Bros. 3, Super Mario Land 2 and Super Mario World respectively. References from Wikipedia and author's own experience. From jumping over rolling barrels to hopping from planet to planet, follow Mario’s journey through the Super Mario game series.